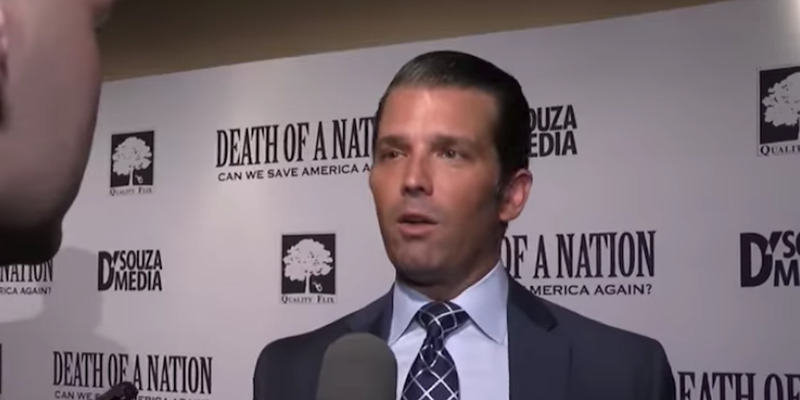 YouTubeDonald Trump Jr. on Wednesday compared Democrats to the Nazis in the 1930s. Speaking at a screening of far-right filmmaker Dinesh D’Souza’s new documentary, the eldest child of the president contended the left is unfairly labelling the right as fascists and Nazis. 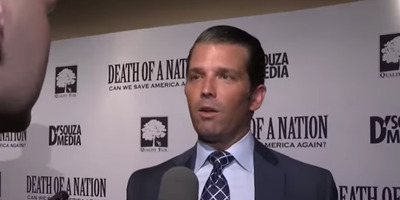 “When you look at the movie, you’ll see that there is a very distinct and clear difference between what actually happened and what is being sold to our youth today,” Trump Jr. said of the film.